This article is about the historical background, territory, and identification of the physical location of England's claim to North America north of Mexico. For other uses, see New Albion (disambiguation). New Albion, also known as Nova Albion, was the name of the continental area north of Mexico claimed by Sir Francis Drake for England in 1579. This claim on the Pacific coast, which became the justification for English charters across America to the Atlantic coast, soon influenced further national expansion projects on the continent. Today, it is known as Point Reyes, California, a marine environment which is the setting of several small towns, ranches, and the Point Reyes National Seashore. Point Reyes is a prominent cape and popular Northern California tourist destination on the Pacific coast. It is located in Marin County approximately 30 miles (50 km) west-northwest of San Francisco. The term is often applied to the Point Reyes Peninsula, the region bounded by Tomales Bay on the northeast and Bolinas Lagoon on the southeast. The headland is protected as part of Point Reyes National Seashore. In the late sixteenth century, Drake developed a plan to use investors' support so he could sail into the Pacific to plunder Spanish settlements and ships and search for the hypothetical Strait of Anián which was thought to exist somewhere along the present-day Northern California or Oregon coasts, connecting the Pacific and Atlantic. Drake embarked on the journey in November 1577, and after successfully raiding Spanish towns and ships along their eastern Pacific coast colonies, he sailed north to seek a shortcut back to England via the Strait of Anián. Upon not finding it and to avoid reprisal by Spaniards he might encounter by sailing back through their territory, Drake decided that circumnavigation would be required to return to England. So, he sought safe harbor to prepare his ship, the Golden Hind , for the long journey. The Strait of Anián was a semi-mythical strait, documented from around 1560, that was believed by early modern cartographers to mark the boundary between North America and Asia and to permit access to a Northwest Passage from the Arctic Ocean to the Pacific. The true strait was discovered in 1728 and became known as the Bering Strait. The Strait of Anián had been generally placed nearby but sometimes appeared as far south as California. On June 17 of 1579, Drake and his crew landed on the Pacific coast at what is now Point Reyes in Northern California. He had very friendly relations with the Coast Miwok people who inhabited the area near his landing. Living in thriving village communities, multitudes of Coast Miwok visited the English encampment daily, and Drake reciprocated with a visits by crossing a nearby ridge into an inland valley. 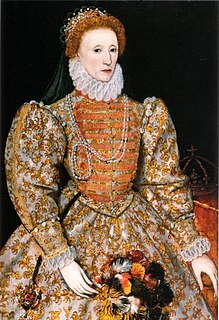 Naming the area Nova Albion, or New Albion, he claimed sovereignty of the area for Elizabeth I of England, an act which would have significant long-term historical consequences. After effecting repairs while careening his ship, Drake set sail a few weeks later on July 23, 1579. Leaving behind no permanent presence, he circumnavigated the globe, finally returning to England in September 1580. The Coast Miwok are an indigenous people that was the second largest group of Miwok people. The Coast Miwok inhabited the general area of modern Marin County and southern Sonoma County in Northern California, from the Golden Gate north to Duncans Point and eastward to Sonoma Creek. The Coast Miwok included the Bodega Bay Miwok, from authenticated Miwok villages around Bodega Bay, and the Marin Miwok. Careening is the practice of grounding a sailing vessel at high tide in order to expose one side of its hull for maintenance and repairs below the water line when the tide goes out. Over the years, numerous speculative sites along the North American Pacific coast were investigated as the area of Drake's New Albion claim. Through the seventeenth, eighteenth, and nineteenth centuries, various cartographers and mariners identified the area near Point Reyes as Drake's likely landing place. In the twentieth and twenty-first centuries, definitive evidence was gathered, particularly regarding Drake's contact with the Coast Miwok people and porcelain shards which were established to be remnants of Drake's cargo. In October 2012, all of this culminated in the United States Department of the Interior—using a National Historic Landmark designation—formally recognizing Drake's landing being at Point Reyes, California. Juan Rodríguez Cabrillo was a Spanish explorer born in Palma del Rio, Córdoba, Spain, although he is also claimed by tradition as a native of Portugal. Among other things he was a maritime navigator known for exploring the West Coast of North America on behalf of the Spanish Empire. Cabrillo was the first European to navigate the coast of present-day California. He is best known for his exploration of the coast of California in 1542–1543. 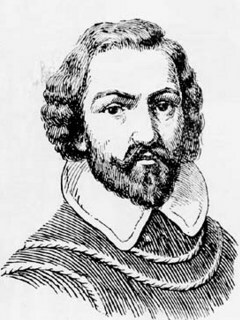 Juan Rodríguez Cabrillo served under the command of Pánfilo de Narváez and aided him in the conquest of Cuba about 1518. The Hondius map The Vera Totius Expeditionis Navticae inset depicts Drake's encampment at New Albion, Portus Novas Albionis. The Latin word Portus denotes a port or harbor within a river or estuary near its mouth, strictly correlating with the geography of Drake's Cove. This early 1580s, Nikola van Sype map shows Nova Albion as an imprecise area across the western part of North America. This 1658 map, by Nicolaes Visscher I, shows Nova Albion as a region in the north of an island identified as "California". 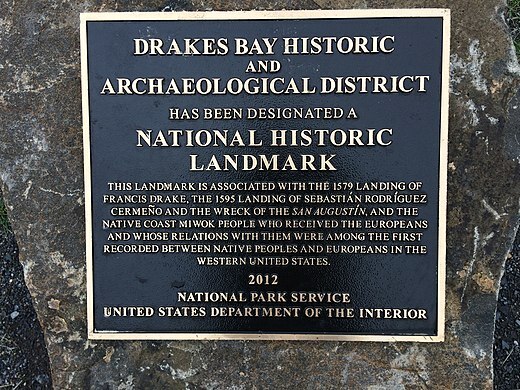 National Historic Landmark commemorating and honoring Francis Drake, Sebastian Rodriguez Cermeño, and Coast Miwok people at Point Reyes, California. Drakes Bay, northwest of San Francisco. Display at Point Reyes National Seashore Visitor Center of Ming porcelain shards from Drake's 1579 landing and Cermeño's 1595 Manila galleon shipwreck. The Drake shards are distinguished by the sharp breaks and the Cermeño shards by the worn edges due to being surf-tumbled. This basket, on display at the Jesse Peter Museum, is similar to the fully feathered basket described in The World Encompassed. There is a discrepancy of at least 20 men regarding the number of crew that Drake commanded prior to his stay in Northern California and when he reached the Moluccas, an archipelago within the Banda Sea, Indonesia. Released Spanish prisoners stated that off the coast of Central America, the ship's company was about 80 men. Francis Drake's nephew and crewmember, John Drake, claimed the number totaled 60 when the ship was at Ternate in the Moluccas. On Vesuvius Reef, The World Encompassed puts the number at 58. The reasons for the discrepancy are unknown. New Albion as seen from the air. At top is the Pacific Ocean, and the body of water to the left is Drake's Bay. The inlet off Drake's Bay and at center, below the Pacific, is Drakes Estero where Drake careened his ship. Today, the headlands and much of the interior of the Point Reyes area are part of Point Reyes National Seashore. Inverness, Inverness Park, Bolinas, Olema, and Point Reyes Station are communities in the area. Artwork hanging in Saint Columba's, Episcopal Church and Retreat House in Inverness Park, California, shows the Golden Hind and Episcopal missions at Nova Albion. The localized legacy of Drake's New Albion claim is evident in several ways. The inspiration of various local namesakes is owed to the notion of this declaration. New Albion Brewing Company, located near Drake's 1579 landing, is the first United States microbrewery of the modern era, and Sir Francis Drake High School is located in San Anselmo, California, several miles southeast of Drake's landing. Also near Drake's landing is Sir Francis Drake Boulevard, an arterial road running east-west in Marin County, California. Drake, Francis. Archibald L., Hettrich, ed. Sir Francis Drake, description of his landing at Drake's Bay, Marin County, California, June 17, 1579. ↑ Oko 1964, p. 135. ↑ Sugden 2006, pp. 92–98. ↑ Wallis 1979, p. 2. ↑ Sugden 2006, pp. 98, 101, 109, 110. ↑ Woodard 2007, p. 2. ↑ Sugden 2006, p. 98. ↑ Sugden 2006, p. 132. 1 2 Davis 2013, p. 188. 1 2 3 Sugden 2006, p. 130. 1 2 Oko 1964, p. 152. ↑ Von der Porten 1975, pp. 28–30. 1 2 Morison 1978, p. 700. 1 2 Cassels 2003, p. 263. ↑ Cassels 2003, pp. 263,264. ↑ Sugden 2006, p. 136. 1 2 3 Sugden 2006, p. 137. ↑ Turner 2006, p. 173. 1 2 Sugden 2006, p. 135. ↑ Turner 2006, p. 183. ↑ Sugden 2006, p. 144. ↑ Cummins 1997, p. 189. ↑ Sugden 2006, p. 149. ↑ Sugden 2006, p. 151. ↑ Thrower 1984, p. 151. ↑ Polk 1995, p. 241. ↑ Wallis 1979, p. 1. 1 2 3 Wallis 1979, p. 20. ↑ Wallis 1979, p. 5. ↑ Wallis 1979, p. 7. ↑ Sugden 2006, p. 111. 1 2 Anon 2018, p. 8. 1 2 Sugden 2006, p. 118. ↑ Gough 1992, p. 23. ↑ Sugden 2006, p. 157. ↑ Woodward 2017, p. 34. ↑ Woodward 2017, p. 39. ↑ National Parks Traveler Staff 2016. ↑ Turner 2006, p. 169. ↑ Rawls & Bean 2012, pp. 26,27. ↑ Wagner 1926, p. 161. 1 2 Turner 2006, p. 290. ↑ Davidson 1887, p. 214. ↑ Davidson 2012, p. 5. ↑ Davidson 1908, p. 108. ↑ Heizer 1947, p. 279. 1 2 Oko 1964, p. 150. ↑ Morison 1978, p. 713. ↑ Shangraw & Von der Porten 1981, p. 73. 1 2 Kuwayama 1997, p. 20. 1 2 3 4 Cassels 2003, p. 268. 1 2 3 L.A. Times Shards 2019. 1 2 Meniketti 2013, p. 17. ↑ Cassels 2003, p. 270. ↑ Meniketti 2013, p. 18. ↑ Sugden 2006, p. 332. ↑ Rawls & Bean 2012, p. 27. 1 2 3 May 2000. ↑ Graton Rancheria: Miwok History 2018. ↑ Heizer 1947, p. 15. ↑ NPS Coast Miwok 2018. ↑ Hinton 1994, p. 13. 1 2 Heizer 1947, p. 12. ↑ Morison 1978, p. 702. ↑ Turner 2006, p. 174. 1 2 3 Rawls & Bean 2012, pp. 26. 1 2 3 Turner 2006, p. 178. ↑ Sugden 2006, p. 138. 1 2 3 4 Turner 2006, p. 181. ↑ Brandon 2003, p. 383. 1 2 3 4 Heizer 1947, p. 10. ↑ Hudson 2015, p. 176. 1 2 Turner 2006, p. 177. ↑ Davis 2013, p. 189. ↑ Sugden 2006, pp. 118, 137. ↑ Allen 1997, p. 433. 1 2 NPS Weather & Tides 2018. ↑ Turner 2006, pp. 182,183. 1 2 PRNSA Weather Center 2018. ↑ Cassels 2003, p. 265. 1 2 3 4 5 Turner 2006, p. 180. ↑ Morison 1978, p. 703. ↑ Turner 2006, p. 170. 1 2 NPS Trees and Shrubs 2018. ↑ Hakluyt 2015, pp. 15,16. ↑ Craddock 2009, pp. 150,151. ↑ Von_der_Porten et al. 2002, pp. 116-133. ↑ Sugden 2006, p. 133. ↑ Oko 1964, p. 168. ↑ USGS Geographic Names 2019. Point Reyes National Seashore is a 71,028-acre (287.44 km2) park preserve located on the Point Reyes Peninsula in Marin County, California. As a national seashore, it is maintained by the US National Park Service as an important nature preserve. Some existing agricultural uses are allowed to continue within the park. Clem Miller, a US Congressman from Marin County wrote and introduced the bill for the establishment of Point Reyes National Seashore in 1962 to protect the peninsula from development which was proposed at the time for the slopes above Drake's Bay. All of the park's beaches were listed as the cleanest in the state in 2010. Golden Hind was an English galleon best known for her privateering circumnavigation of the globe between 1577 and 1580, captained by Sir Francis Drake. She was originally known as Pelican, but was renamed by Drake mid-voyage in 1578, in honour of his patron, Sir Christopher Hatton, whose crest was a golden 'hind'. Hatton was one of the principal sponsors of Drake's world voyage. One full-sized, still sailable reconstruction containing original pieces of the galleon exists in London, on the south bank of the Thames. Drakes Bay is a 4-mile (6.4 km) wide bay named so by U.S. surveyor George Davidson in 1875 along the Point Reyes National Seashore on the coast of northern California in the United States, approximately 30 miles (48 km) northwest of San Francisco at approximately 38 degrees north latitude. 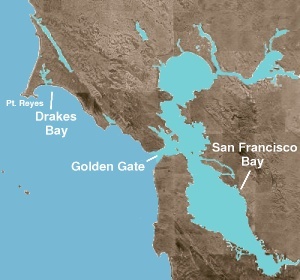 The bay is approximately 8 miles (13 km) wide. It is formed on the lee side of the coastal current by Point Reyes. The bay is named after Sir Francis Drake and has long been considered Drake's most likely landing spot on the west coast of North America during his circumnavigation of the world by sea in 1579. An alternative name for this bay is Puerto De Los Reyes. Bolinas Lagoon is a tidal estuary, approximately 1,100 acres (4.5 km2) in area, located in the West Marin region of Marin County, California, United States, adjacent to the town of Bolinas. It is a part of the Greater Farallones National Marine Sanctuary and is considered to be among the possible landing spots of Sir Francis Drake on the west coast of North America in 1579. Drakes Estero is an expansive estuary in the Point Reyes National Seashore of Marin County on the Pacific coast of northern California in the United States, approximately 25 miles (40 km) northwest of San Francisco. Tomales Bay is a long, narrow inlet of the Pacific Ocean in Marin County in northern California in the United States. It is approximately 15 miles (25 km) long and averages nearly 1.0 miles (1.6 km) wide, effectively separating the Point Reyes Peninsula from the mainland of Marin County. It is located approximately 30 miles (48 km) northwest of San Francisco. The bay forms the eastern boundary of Point Reyes National Seashore. Tomales Bay is recognized for protection by the California Bays and Estuaries Policy. On its northern end it opens out onto Bodega Bay, which shelters it from the direct current of the Pacific. The bay is formed along a submerged portion of the San Andreas Fault. Bodega Bay is a shallow, rocky inlet of the Pacific Ocean on the coast of northern California in the United States. It is approximately 5 mi (8 km) across and is located approximately 40 mi (60 km) northwest of San Francisco and 20 mi (32 km) west of Santa Rosa. The bay straddles the boundary between Sonoma County to the north and Marin County to the south. The bay is a marine habitat used for navigation, recreation, and commercial and sport fishing including shellfish harvesting. Bodega Head is a small promontory on the Pacific coast of northern California in the United States. It is located in Sonoma County at 38.311°N 123.066°W, approximately 40 mi (64 km) northwest of San Francisco and approximately 20 mi (32 km) west of Santa Rosa. The Federated Indians of Graton Rancheria, formerly known as the Federated Coast Miwok, is a federally recognized American Indian tribe of Coast Miwok and Southern Pomo Indians. The tribe was officially restored to federal recognition by the U.S. government pursuant to the Graton Rancheria Restoration Act, Pub. L. No. 106-568, Title XIV, 25 U.S.C. § 1300n et. seq. (2000). Tomales Bay State Park is a California state park in Marin County, California. It consists of approximately 2,000 acres (8 km²) divided between two areas, one on the west side of Tomales Bay and the other on the east side. The main area, on the west, is part of the Point Reyes peninsula, and adjacent to Point Reyes National Seashore, which is operated by the U.S. National Park Service. The park is approximately 40 miles (64 km) north of San Francisco. Sir Francis Drake Boulevard is an east–west arterial road in Marin County, California, running from the trailhead for Point Reyes Lighthouse at the end of the Point Reyes Peninsula to Interstate 580 just west of the Richmond-San Rafael Bridge. It is a main thoroughfare through the communities of Inverness, Point Reyes Station, Olema, Lagunitas-Forest Knolls, San Geronimo, Woodacre, Fairfax, San Anselmo, Ross, Kentfield, Greenbrae, and Larkspur. The road overlaps State Route 1 between Point Reyes Station and Olema. In 1579, Francis Drake sailed out in the Pacific, then turned east seeking the Strait of Anián, or for a place to repair his ships. The Drake Navigators Guild is the historical research group which has used multi-disciplinary methods to research Francis Drake’s visit to the west coast of North America in 1579 and related maritime explorations. Founded in 1949, the Guild’s research supports the long-standing conclusion that Drake’s “Nova Albion” is at Drakes Bay, California. The Guild's efforts build on the research of Professor George Davidson (geographer) and others who have studied Drake's voyage. The Guild’s research has identified the specific careening site at Drake’s Cove within the Bay. Elizabeth Island is the name given to an island off the tip of South America visited by Sir Francis Drake in September 1578, during his circumnavigation of the globe. The island was not seen again and is regarded as a phantom. Various suggestions have been offered as to where Drake landed. Sir Francis Drake's landing on the west coast of North America in 1579 has drawn the attention of scores of historians, geographers, linguists, anthropologists and other professionals. In addition, many history buffs have sought to locate Drake's New Albion. More than a score of ideas have been put forth—covering the coast from Alaska to Southern California. These ideas span the eighteenth through the early twenty-first centuries. Mount Sir Francis Drake, 2,705 metres (8,875 ft), is a mountain in the Pacific Ranges of British Columbia, Canada, standing above the south side of Waddington Harbour and the head of Bute Inlet on the Central Coast of British Columbia just south of the mouth of the Homathko River as it empties into that harbour and inlet. N. de Morena or N. de Morera, name given to him by his contemporary Fray Juan de Torquemada and by most authors, was a European ship pilot who reportedly was left at New Albion by Sir Francis Drake in 1579 and then walked to Mexico. In doing so, he likely was the first European to see San Francisco Bay and likely established the incorrect idea that California was an island. In only few and non-contemporaneous references, the name is given as "N. de Morena." Allen, John Logan (1997). North American Exploration, Volume 1: A New World Disclosed. Lincoln Nebraska: University of Nebraska Press. ISBN 978-0803210158. Anon (2018). A Perfect description of Virginia being, a full and true relation of the present state of the plantation, their health, peace, and plenty . Being sent from Virginia, at the request of a gentleman of worthy note, who desired to know the true state of Virginia as it now stands. Also, a narration of the countrey, within a few days journey of Virginia, west and by south . being related to the governeur, Sir William Berckley . With the manner how the Emperor Nichotawance came to Sir William Berckley, atteneded with five petty kings, to doe homage, and bring tribute to King Charles . London, Printed for Richard Wodenoth, 1649. Delhi, India: Pranava Books. OCLC 1033693631. Bawlf, Samuel R. (2003). The Secret Voyage of Sir Francis Drake, 1577–1580. Vancouver, Canada: Douglas & McIntyres. ISBN 978-1-55054-977-5. Brandon, William (2003). The Rise and Fall of North American Indians: From Prehistory through Geronimo. Lanham, MD: Rowman & Littlefield. ISBN 978-1-58979-036-0. Craddock, Paul (2009). Scientific Investigation of Copies, Fakes and Forgeries. Oxford, United Kingdom: Butterworth-Heinemann. ISBN 978-0-7506-4205-7. Cummins, John (1997). Francis Drake: Lives of a Hero. New York: Palgrave Macmillan. ISBN 978-0312163655. Davidson, George (1887). Annual Report of The Director. Washington, D.C.: U.S. Coast and Geodetic Survey, Government Printing Office. Davidson, George (1908). Francis Drake on the Northwest Coast of America in the Year 1579: The Golden Hind Did Not Anchor in the Bay Of San Francisco. San Francisco: F.F. Partridge. Davidson, George (2012). Identification of Francis Drake's Anchorage on the Coast of California in the year 1579. Charleston, South Carolina: Nabu Press. ISBN 978-1286071250. Gough, Barry (1992). The Northwest Coast: British Navigation, Trade and Discoveries to 1812. Vancouver: U Univ. of British Columbia Press. ISBN 978-0774803991. Hakluyt, Richard (2015). The Voyage Of Sir Francis Drake around The Whole Globe. United Kingdom: Penguin Classics. ISBN 978-0-141-39851-8. Heizer, Robert (1947). Francis Drake And The California Indians, 1579. California: University of California Press. ISBN 978-1-5005-93599. Hinton, Leanne (1994). Hinton, Leanne. Flutes of Fire: Essays on California Indian Languages. Berkeley, CA: Heyday Books. ISBN 978-0930588625. Hudson, Travis (2015). Treasures from Native California: The Legacy of Russian Exploration. United Kingdom: Penguin Classics. ISBN 978-1-61132-982-7. Kuwayama, George (1997). Chinese Ceramics in Colonial Mexico. Honolulu, HI: University of Hawai'iI. ISBN 978-0875871790. Morison, Samuel Eliot (1978). The Great Explorere: The European Discovery of America. New York: Oxford University Press, Inc. ISBN 978-0195042221. Polk, Dora (1995). 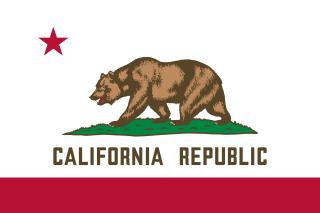 The Island of California: A History of The Myth. Lincoln, Nebraska: University of Nebraska Press. ISBN 978-0803287419. Power, Robert (1974). Francis Drake & San Francisco Bay: A beginning of the British empire (Keepsake). Davis, California: Library Associates of the University Library, University of California, Davis. ASIN B0006WNCNY. Rawls, James; Bean, Walton (2012). California: An Interpretive History. New York: McGraw-Hill Education. ISBN 978-0073406961. Shangraw, Clarence; Von der Porten, Edward (1981). The Drake And Cermeño Expeditions' Chinese Porcelains At Drakes Bay, California 1579 And 1595. Santa Rosa, California and Palo Alto, California: Santa Rosa Junior College and Drake Navigators Guild. Sugden, John (2006). Sir Francis Drake. London: Pimlico. ISBN 978-1-844-13762-6. Thrower, Norman (1984). Sir Francis Drake and the famous voyage, 1577–1580 : essays commemorating the quadricentennial of Drake's circumnavigation of the earth. California: University of California Press. ISBN 978-0520048768. Turner, Michael (2006). In Drake's Wake Volume 2 The World Voyage. United Kingdom: Paul Mould Publishing. ISBN 978-1-904959-28-1. Wagner, Henry R. (1926). Sir Francis Drake's Voyage Around the World: Its Aims and Achievements. Berekely: J.J. Cillice and Co., Inc. ISBN 978-0548113684. Wallis, Helen (1979). The Voyage of Sir Francis Drake Mapped in Silver And Gold. California: Friends of the Bancroft Library, University of California. ASIN B0006DX6LQ. Woodard, Colin (2007). The Republic Of Pirates. New York and Boston: Mariner Books, Houghton Mifflin Harcourt. ISBN 978-0-15-101302-9. Woodward, William (2017). A Short History of the Expansion of the British Empire, 1500–1870. United States: Forgotten Books. ISBN 978-1-331-66520-5. Cassels, Sir Simon (August 2003). "Where Did Drake Careen The Golden Hind in June/July 1579? A Mariner's Assessment". The Mariner's Mirror. Vol. 89, No. 1. Meniketti, Marco (2013). "Preliminary Results of pXRF Testing of Porcelains from Sixteenth-Century Ship Cargos on the West Coast". Society for California Archaeology Newsletter. Vol. 47, No. 2. Oko, Captain Adolf S., Jr. (June 1964). "Francis Drake and Nova Albion". California Historical Society Quarterly. XLIII, No. 2. Von der Porten, Edward (January 1975). "Drake's First Landfall". Pacific Discovery, California Academy of Sciences. Vol. 28. Von der Porten, Edward; Aker, Raymond; Allen, Robert W.; Spitze, James (2002). "Who Made Drake's Plate of Brass? Hint: It Wasn't Francis Drake". California History. Vol. 81, No. 2. Acitelli, Tom (2011). "New York's Beer Debt to California". Observer.com. Observor. Retrieved 31 December 2018. "Coast Miwok At Point Reyes". 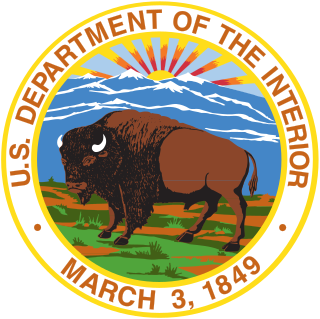 United States National Park Service. 2018. Retrieved 30 December 2018. "Data Explorer: Time Series Values for Individual Locations". 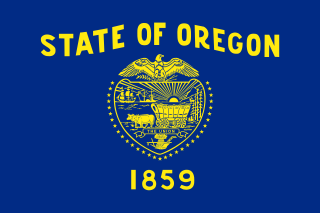 PRISM Climate Group, Oregon State University. 2018. Retrieved 30 December 2018. Dell'Osso, John (2001). "Francis Drake's Port Visible Again at Point Reyes National Seashore". nps.gov. United States National Park Service. Retrieved 21 January 2019. Engel, Paul (2016). "Drakes Bay National Historic Landmark Historic District". ncptt.nps.gov. National Center for Preservation Technology and Training. Retrieved 2 February 2019. "Feature Detail Report for: Sir Francis Drake High School". United States Geological Survey. 2018. Retrieved 31 December 2018. "Grasses". National Park Service. 2019. Retrieved 31 January 2019. "Kule Loklo A Coast Miwok Cultural Exhibit". Miwok Archeological Preserve of Marin (MAPOM). 2018. Retrieved 30 December 2018. May, James (2000). "Coast Miwoks Fight For Recognition". Newsmaven.io. Indian Country Today. Retrieved 30 December 2018. National Parks Traveler Staff (2016). "Site Of Sir Francis Drake's Ship Grounding Honored At Point Reyes National Seashore". Nationalparkstraveler.org. National Parks Traveler. Retrieved 27 December 2018. Nolte, Carl (2016). "Point Reyes declared Drake landing site". SFGate.com. SFGate. Retrieved 27 December 2018. Meniketti, Marco (1997). "Searching For a Safe Harbor on A Treacherous Coast: The Wreck of the Manila Galleon San Agustin". caribbeanarchaeology.com. Caribbean Historical Archaeology. Retrieved 12 February 2019. "Our History: Historical Background & Timeline". Federated Indians of Graton Rancheria. 2018. Retrieved 30 December 2018. Porrata, Carlos, et. al. (2018). "Teacher's Resource Handbook: Environmental Living Program, Tomales Bay State Park" (PDF). Parks.ca.gov. California State Parks. Retrieved 31 December 2018. ""Prayer-book Cross" Dedicated" (PDF). The New York Times. 1894. Retrieved 7 February 2019. "Stalking Sir Francis". Los Angeles Times. 2019. Retrieved 2 February 2019. "Trees and Shrubs". National Park Service. 2018. Retrieved 30 December 2018. "Weather & Tides". National Park Service. 2018. Retrieved 30 December 2018. "Weather Center". Point Reyes National Seashore Association. 2018. Retrieved 30 December 2018. Wikimedia Commons has media related to New Albion .